Little information is known about size at maturity for female lobster in Nova Scotia. Thanks to a collaborative project between DFO and the FSRS in 2010 new sampling sites to help establish baseline information on the subject were added to size at maturity research already taking place in Cape Breton (2005-2007), Canso (since 2008) and Port Mouton (2009 – 2011). These new sites include Tangier, Lobster Bay Inside and Lobster Bay Outside. Another site is also being added in West Jeddore in 2012 and brings the total of sites the FSRS is directly involved in to four. Functional maturity is easily observed when females are bearing eggs but it gets slightly more complicated when assessing those which are mature but have yet to spawn. To determine if these non-spawning females are physiologically mature we need to do cement gland staging. This process involves the removal of one pleopod (feathery abdominal appendage) from the female that needs to be analyzed under a microscope within 48 hours to determine the presence of cement glands. Cement gland presence is staged on a 1-4 scale with 2 and up being classified as mature. This is the least invasive method for determining lobster maturity, aside from egg presence, and can only be conducted on females due to cement glands being linked to ovary development. The Lobster Size at Maturity Project involved determining if trends exist across the province and if those have changed from past work. 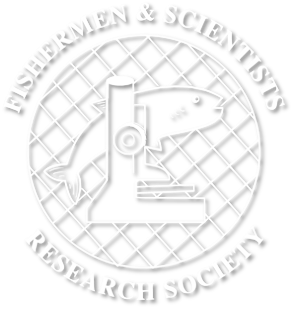 FSRS looked at the temporal and spatial variability of maturation of female lobsters in different regions of the province. This gave important insight into what is going on in different management areas where conservation measures are quite similar.